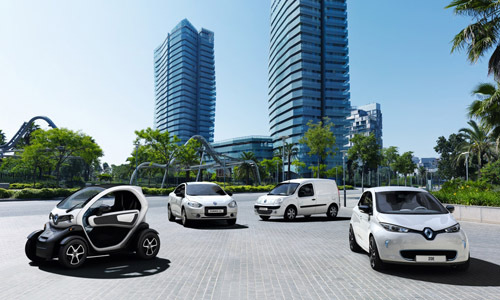 Renault Group has become the European leader in terms of low CO2 emissions based upon its sales of passenger cars over the first half of 2013. This ranking is the fruit of the rejuvenation of its range, the success of its Energy range of engines and the growth of its electric vehicle sales. Leader with an average of 115.9g of CO2/km* per vehicle (source: AAA-DATA**) based on its passenger car sales over the first half of 2013, the Group owes this performance to the recent rejuvenation of its ranges, notably five models that return less than 100g of CO2/km (Twingo, New Clio, Captur, Mégane and Dacia Sandero). Indeed, in the small five-seater diesel car sector, New Clio Energy dCi 90 eco² is the class leader with 83g/km. 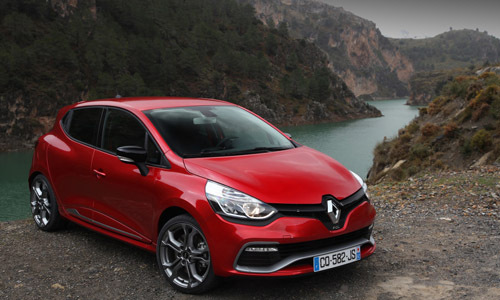 Overall, the New Renault Clio range emits 18.5g of CO2/km less than the model’s previous generation. Electric vehicle sales have also contributed to the Group’s low average CO2 emissions. Taken as a whole, the average level of CO2 emissions per kilometre across Renault Group’s entire range has improved by nearly 10g in the first half of 2013 over 2012, falling from 125.5g/km to 115.9g/km. “This position of market leader is proof that the combination of our powertrain strategy – with our range of Energy engines – and our electric vehicle strategy is bearing fruit. Thanks to these innovations, Renault Group is achieving tangible results and maintaining its objective to significantly reduce the long-term environmental footprint of its activities. 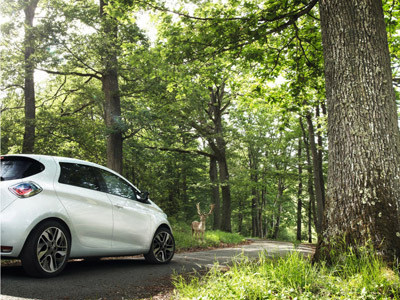 At the same time, these improvements are beneficial for both the planet and our customers.” Jean-Philippe HERMINE, Director, Renault Group, Environmental Plan. * The average homologated NEDC combined-cycle CO2 emissions of Renault Group passenger cars registered during the first half of 2013 across 23 EU nations (all countries except Cyprus, Malta, Romania and Bulgaria). ** Figures obtained from AAA-DATA (Association Auxiliaire de l’Automobile), a subsidiary of CCFA. AAA-DATA is an organisation that collates automotive industry data for authorities.